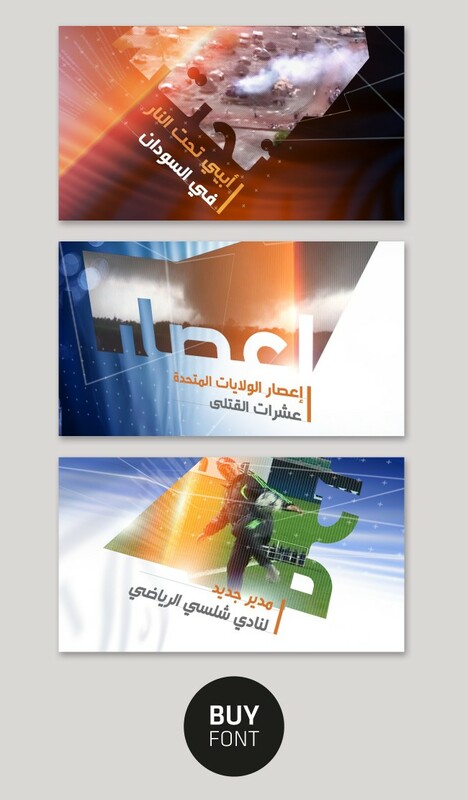 AlGhad font family is one of the best selling fonts designed by Tarek Atrissi Design. The Arabic typeface consists of 4 weights (light, regular, bold and black) and is available for purchase and licensing through the www.arabictypography.com website. 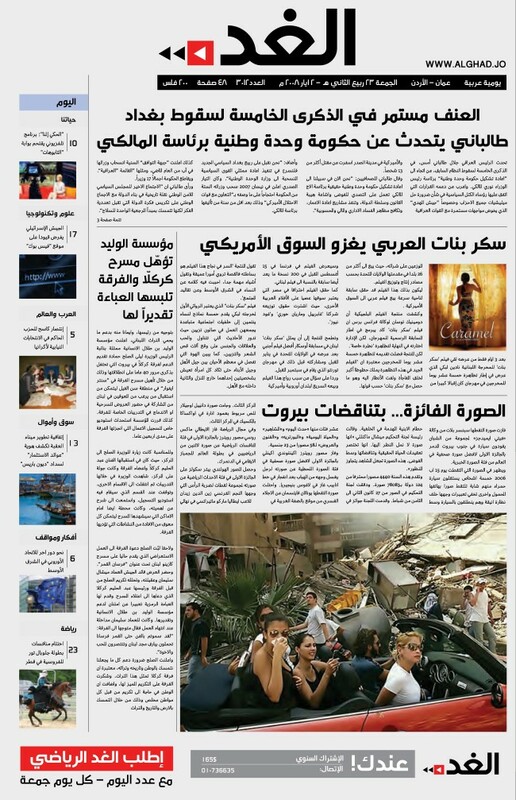 AlGhad font was initially designed in 2004 for al-Ghad newspaper in Amman, Jordan, one the strongest newspapers today in Jordan. The font started as a lettering / logo design project for the Arabic masthead of the newspaper. The logo’s typographic strength became a key complement of the brand’s recognition, and the newspaper commissioned Tarek Atrissi Design to develop further the typeface for use in the headlines of the newspaper. The font’s popularity lies as well in the versatility of its usage possibility. Its legibility in titles made it appears far beyond newspaper headlines: it was used for headlines on televisions by many Arab TV stations. It was mostly used however in signage and wayfinding systems, particularly because the Arabic font worked very well in combination with classic sans serif Latin typefaces. Order your license of the Atrissi-alGhad typeface on the www.arabictypography.com website.